Animator and illustrator Matt Smithson, or Man vs Magnet as he affectionally likes to be called brings us a collection of latest work he has been putting together so far in twenty ten. This artistic reel contains the many workings of Matt, with the majority for both curious pictures who represent him in the United States, and Nottoscale who represent him here in the United Kingdom. Matt brings a very surreal and unique style to the table, just looking his portfolio you can tell he’s not your average creative, his work is so out there, which I love. I think it would be and interesting place to live inside Matt’s head for just a day, it seems he has a child like imagination and view that any thing is plausible, which he has never allowed to grow up and good for him, his work is bold brave and beautiful and has the ability to make you stop in your tracks and just enjoy. 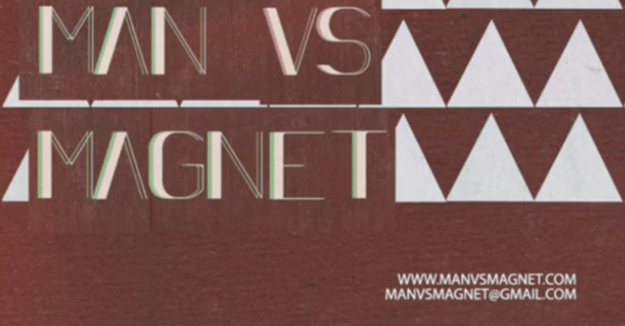 To find more work from Matthew Smithson / Man vs Magnet follow the link below.